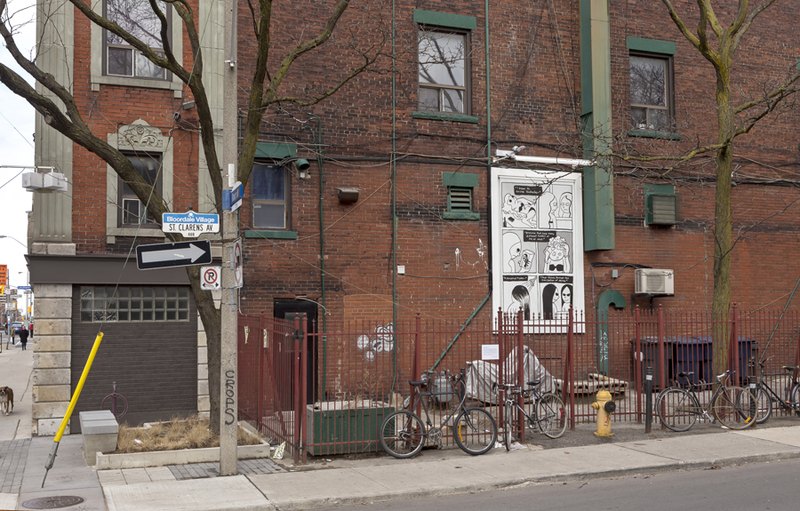 The third artist to create a commissioned work for SPACE, Mercer Union’s billboard project will be Montreal and Toronto based artist Walter Scott. Scott is an interdisciplinary artist working across writing, illustration, performance and sculpture. 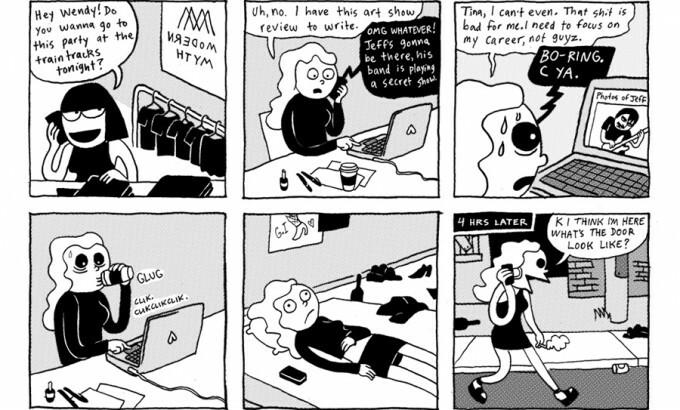 In 2011 while living in Montreal, he began a comic book series, Wendy, exploring the narrative of a fictional young woman living in an urban centre, who aspires to global success and art stardom but whose dreams are perpetually derailed. Romantic woes, professional frustrations, parties and awkward encounters play out in black and white. The position of the outsider and shape shifter is central to this body of work and the influence of feminist icons such as Mary Tyler Moore, Elle Woods in Legally Blonde or artist, punk poet, experimental novelist and filmmaker Kathy Acker lingers. Wendy is an avatar who shifts between different cultural institutions, reinventing herself with every modality and juggling different fictions of herself. Scott’s Excerpt from: A Home Underground (2015) steps inside the inner chambers of the mind and body, exploring the antagonism of transformation of all kinds. The inner self, contained within the bedroom and bathroom, becomes a space of existential frustration where a change of hair colour, from blonde to black, releases an intangibility of “the different fictions of me.” Wendy’s crisis on the side of a contemporary art centre perhaps alludes to a consistent necessity to reinvent, to perform and to transform, a subtle hint to the head shaving incident of a fallen pop princess or the continual capacity to reinvent oneself? Kahnawake-born, Montreal/Toronto based artist Walter Scott studied at Concordia University in Montreal. Recent exhibitions include Habitual Present, 8-11, Toronto, Pre-Existing Work, Macaulay and Co. Fine Art, Vancouver (both 2015) and Joan Dark at Western Front, Vancouver (2014). In 2014, he was Artist-in-Residence at the Koganecho Bazaar in Yokohama, Japan. SPACE is a series of commissioned works for the billboard space on the side of Mercer Union, a centre for contemporary art, which began in the spring of 2014, previous contributing artists include: Liz Knox (CA) and Giles Round (UK).